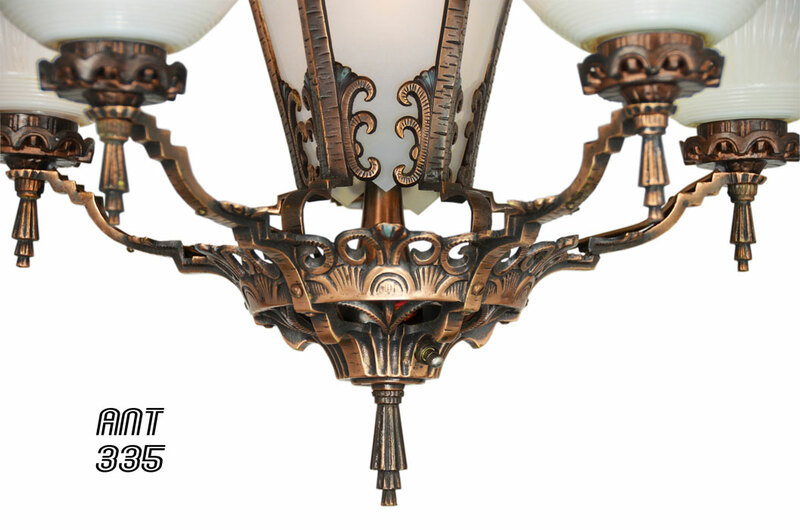 ANT-335 Antique Restored Red-Bronzed Finished Art Deco Chandelier. A true high end quality original cast iron antique frame with a lovely reddish bronzed finish. 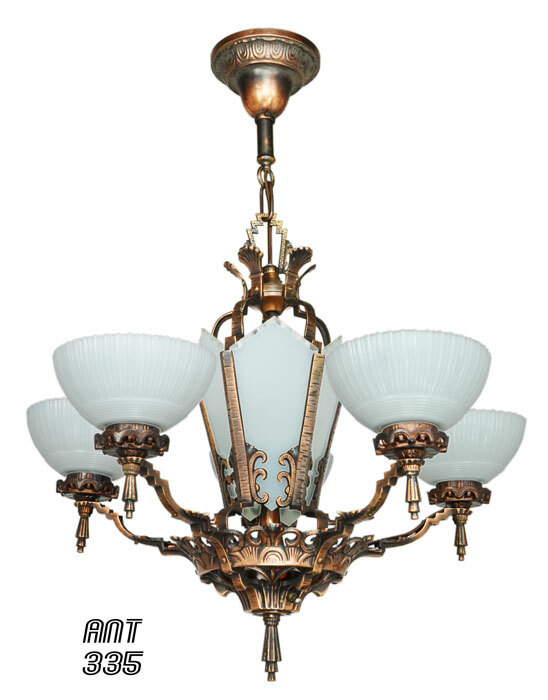 This Art Deco Slip Shade Chandelier was Top-of-the-Line for this series of Art Deco lighting using this type of shade. 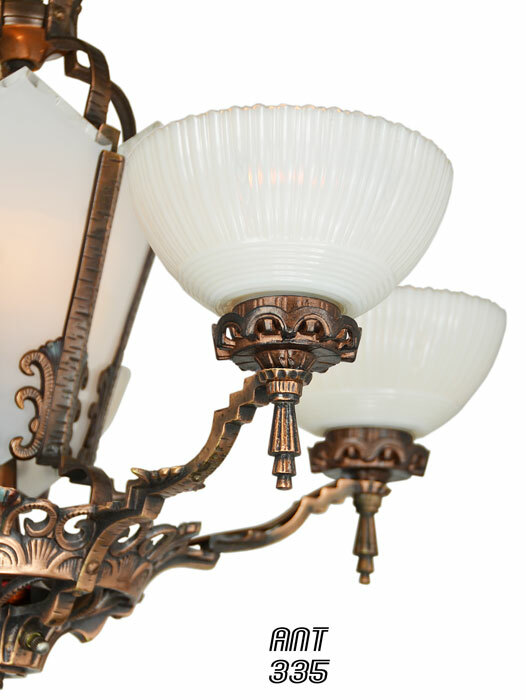 The reddish-bronzed finish is simply superb. This fixture that is oh so near mint condition. The shades too are simply in fantastic condition. Measuring 27 1/2" tall with a diameter of about 21 1/2" from shade tip to shade tip, this is truly a magnificent offering. The decor of this chandelier is simply stunning. 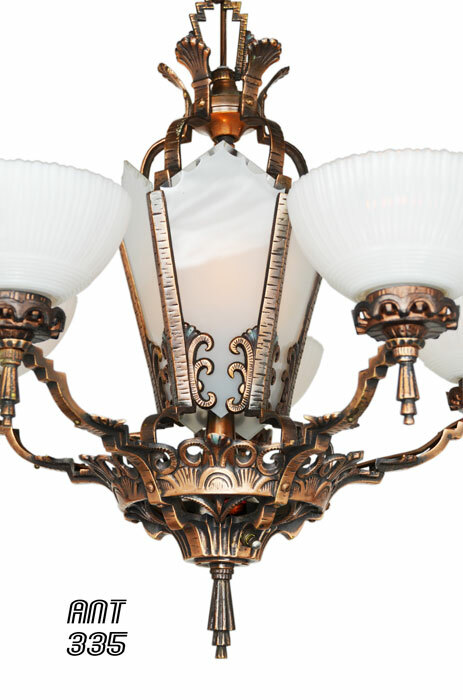 If you have been holding back for that truly outstanding chandelier of this type, we believe that this might be it. sockets, and new wire, and is ready to hang. 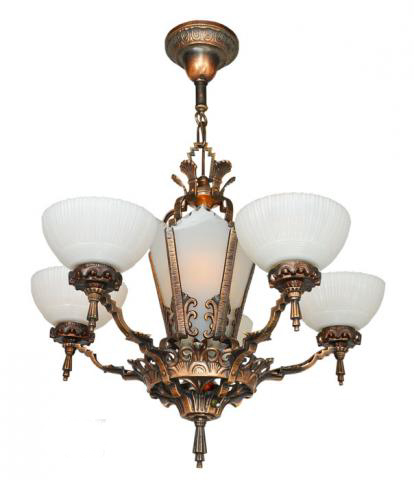 Unique is the fact that this chandelier has a three way switch. Since the center has a socket, it can be lighted separately to use as a low level ambiance or as a night light. Then a rotary turn to the next position lights up 2 of the outside shades while the third turn lights everthing. Note also that the center glass has a bevelled top edge that picks up the light nicely. 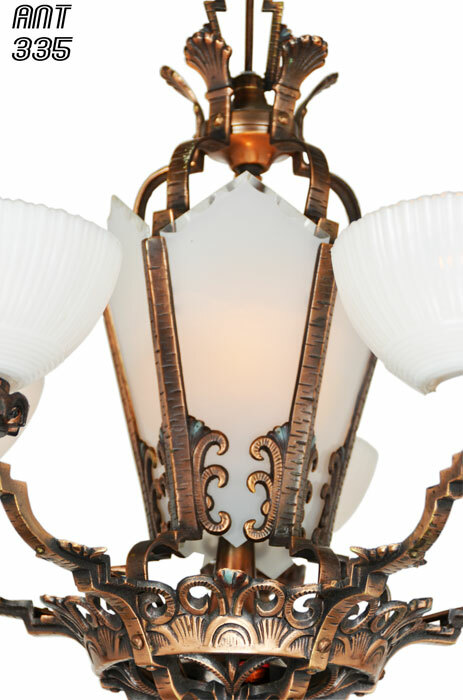 A full mounting crossbar set will be sent with this chandelier. LED bulbs makes running a chandelier all night long, perhaps as a strong nite lite, very economical indeed. Price: $975.00 plus careful packing and shipping.